The Swiss businessman began the team to support his Independent Asset Management company and for the 2013 season, it rolled down the start ramp with a €7-8m (£5.5-6.3m) budget. Over the last two seasons, the team raced in the second division and received wildcard invitations to races like the 2014 Tour de France. On Thursday, the UCI awarded the team one of its 18 first division licences to race in its WorldTour series. With the licence, it has the right, and obligation, to race in all 27 WorldTour races, which includes the three Grand Tours and classics like Paris-Roubaix. The prestigious WorldTour programme comes at a cost: upping the roster from 24 to 29 cyclists, strengthening the backroom structure to support rides in all top-level races and participating in three simultaneous races at times. “I’ll be between €10 to 15 million, I hope towards the top end of that scale because that means that my team is doing well,” Thétaz added. 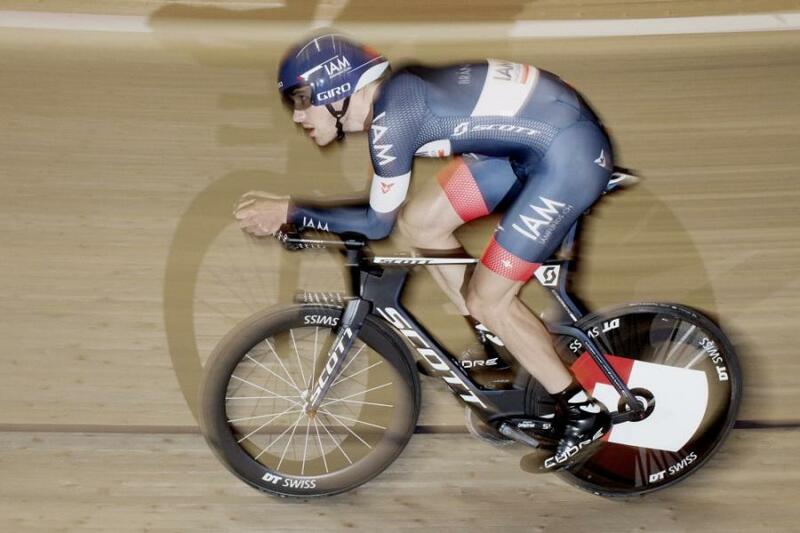 For 2014, IAM Cycling included cyclists Sylvain Chavanel, Mathias Frank and current hour record holder, Matthias Brändle. Thétaz added 10 new cyclists for 2015. The 29-man team in blue and red will mostly race in Europe, but with a WorldTour licence, will start its season at the Tour Down Under in Australia and then travel the world. Thétaz said in 2013 that a WorldTour licence was not needed with his business on the European continent. “Our first race is in Australia next year! Europe is the place where we want to be active, Switzerland is the emphasis, but anywhere you go, if you do the right thing, there will people in the region that you can target,” Thétaz said. “We’ve seen a lot of increased visibility and credibility from cycling. Everything’s been boosted. Next year, which is IAM’s 20th anniversary in Geneva, it’ll be even better because no one can miss us.